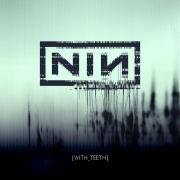 With Teeth (also known as Halo 19 or [WITH_TEETH]) is the fifth full-length studio album by Nine Inch Nails, released in 2005. It spawned three singles (The Hand That Feeds, Only and Every Day Is Exactly The Same), four tour legs, and much celebration for Trent Reznor's sobriety. The initial concept of the album was an exploration of “loss and possible discovery of self, along with alternate layers of reality and perception set inside a nightmare you can't seem to wake up from; with lots of feedback”. Around this time mysterious quotes and binary codes appeared on the NIN website, including a passage from the book The Lathe of Heaven by Ursula K. Le Guin, containing the phrase "bleed-through". The working title for With Teeth was Bleedthrough, referencing the phenomenon of audio bleed-through. In a question posted in the Access section of nin.com Reznor announced that the working title “Bleedthrough” had been dropped. Reznor stated that the name was changed because "it was supposed to be about different layers of reality seeping into the next, but I think some people were thinking about blood or a tampon commercial". 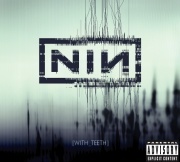 "'Bleedthrough' is no more," Reznor wrote in a message posted on nin.com, "as the songs and concepts matured, the focus and theme of the album shifted somewhat--leaving me feeling that title was inappropriate. Or you could just say I changed my mind. Yes, the new album has a title and track list, and no I'm not telling you what it is yet". Reznor seemingly gained a new awareness of world issues, and showed this by speaking out against the US Government, as well as becoming a spokesperson for PETA. Some songs seem to deal with addiction ("With Teeth," "Sunspots"), while others have a more political intent ("The Hand That Feeds," "Right Where It Belongs"). The album was supported by a major tour that visited clubs, arenas and amphitheaters around the world. With Reznor clean and sober, the shows took on a somewhat new kind of atmosphere, with greater musical precision and a slightly more upbeat attitude. The amphitheater leg was a co-headlining tour with Bauhaus. The tour incorporated new visual elements, with different kinds of lighting and set design than had been used on previous tours. A1 "All The Love In The World"
A2 "You Know What You Are?" A4 "The Hand That Feeds"
B1 "Love Is Not Enough"
B2 "Every Day Is Exactly The Same"
D1 "The Line Begins To Blur"
D2 "Beside You In Time"
D3 "Right Where It Belongs"
"Home" is featured on all releases save the North American version. The released, non-album tracks from this era are "Non-Entity" and "Not So Pretty Now". All With Teeth era songs have been played live except "All The Love In The World" and "Sunspots", both of which have been played at soundchecks and rehearsals for the With Teeth Tour. 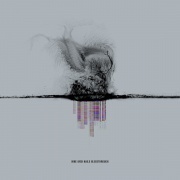 A song with the title "The Warning" is on the Year Zero tracklisting. In a pre-release article  for With Teeth, a song named "My Dead Friend" was mentioned. Whether this is an earlier name for a song that does appear or simply didn't make the cut is so far unknown. The poster was made physically available to members of The Spiral as part of the welcome package.